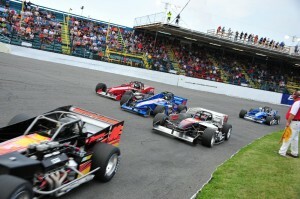 Watch the best in Supermodified racing lay it all on the line for $10,000 at Oswego Speedway on MAVTV this Thursday. 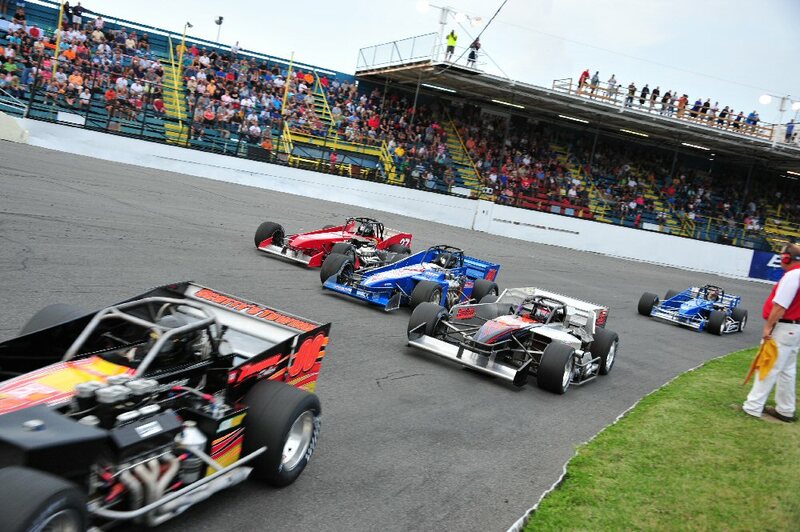 OSWEGO, NY – Oswego Speedway’s second nationally televised broadcast of the 2014 racing season will air Thursday, September 11 at 8 p.m. Eastern and Pacific, featuring the tape delayed 28th annual running of the $10,000 to win Mr. Novelis Supermodified presented by Davis Bros. Inc. which took place at the Speedway on August 2. Thursday’s broadcast will bring fans one of the most exciting Supermodified events on the racing calendar, with the second largest winner’s purse of the season. Each August, Oswego Speedway’s Supermodified aces compete for the Mr. Supermodified championship, and the winner take all $10,000. The Speedway has held this iconic event in Supermodified racing each year since 1987 with Supermodified legends Mike Muldoon, Mike Ordway, Steve Gioia, Doug Didero, Doug Heveron, and Otto Sitterly being just a few of the names to earn the historic title and prize money. Veteran on-air personality Ralph Sheheen and former NASCAR Nationwide Series and Camping World Truck Series Champion Johnny Benson will again lead the Speed Sport broadcast on MAVTV. As a nationally recognized broadcaster, Sheheen has covered everything from swamp buggies to Formula One and from Supercross to Moto G-P.
During Sheheen’s lengthy career he has held microphones for a wide variety of major television networks including CBS, FOX, NBC, SPEED Channel, TNT Sports, Versus, ESPN, TBS, TNN, Prime Network, Sports Channel America, and NHK. Benson, who also has two starts in Supermodified racing’s most prestigious event, Oswego Speedway’s Budweiser International Classic 200, will join Sheheen for the broadcast. The Benson family, of Grand Rapids, Mich., has a storied history at Oswego Speedway, as Johnny Benson Sr. drove to victory at Oswego Speedway in the 1966 running of the International Classic. In the time since that ’66 victory, Benson Jr. has become an avid fan and participant in Supermodified racing across the country competing in International Supermodified Association events as well as his two starts in the Budweiser International Classic in 2011 and 2012. Benson, who adds a 1993 ASA Series championship and 1996 Sprint Cup Series Rookie of the Year award to his resume, will no doubt add an experienced Supermodified eye to the September 11 Speed Sport broadcast on MAVTV. Veteran pit reporter and former NEMA Midget racer Derek Pernesiglio will be the third member of the broadcast team calling all the action from the Speedway’s pit lane. Production will be over seen by Emmy award-winning television veteran Jim Roller. With a 31-year career in broadcasting, Roller has produced and directed programs for three major networks (ABC, NBC, and CBS) as well as every major cable entity in the United States (ESPN, TNN, USA, TBS Superstation, FOX Sports and SPEED). He completed a 12-year stint as senior producer for the American Le Mans Series. The Speedway’s third nationally televised broadcast will air on September 25 on Speed Sport and MAVTV, featuring the 58th running of the Budweiser International Classic 200 for Novelis Supermodifieds. MAVTV is available across the United States through local cable and video providers and via satellite on DirecTV. MAVTV features all things in American Real Motorsports including ASCS Sprint Car Racing, ATV Pro MX, and now The Dave Despain Show.